Today is a Thursday, and your Durham Bulls are playing at home. 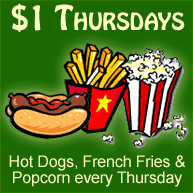 That means tonight is a great opportunity to indulge in ballpark delicacies without damaging your bankroll. If $1 hot dogs, fries and popcorn aren't enough stimulation for your complex palette, give the Carolina Q Dog a try, which was recently reviewed by the BBQ Jew. For those who like to bookend their baseball with beer, Tyler's Taproom is the place to be. Cuban Revolution is supposed to open in the next couple weeks, which has the potential to challenge Tyler's dominance of the Ambacco nightlife. The Bulls have had a rough week this week, and need some serious fan support to help spirit them back to victory. 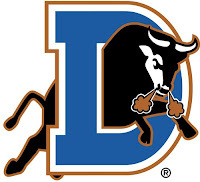 If you can't make it out to the DBAP tonight, the Bulls will be playing every night until Tuesday during the current home stand.